We were in Nassau County yesterday, and even though we don't live there, or have US citizenship for that matter, they let us vote. We took a quick picture of the ballot and were surprised that it included a few extra voting options. We know now people voted NO to paying for the arena, or did they really vote NO to having Yashin back? Nonetheless, the Isles are were a great franchise and we hope relocation can be avoided for the sake of the Isles faithful. NO, we do want Alexei Yashin back as a New York Islander. I don't understand how a team can possibly be so mis-managed. Honestly, just to add to the amazing legacy this team has had since Mike Milbury took over years ago. Charles Wang, Garth Snow and Milbury have somehow managed to take a once thriving franchise (and once a dynasty) and throw it into the dirt. 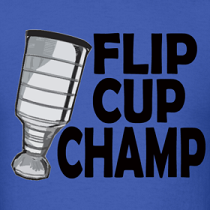 I love how Milbury was hired as an analyst... it must have been his ability to swing a shoe because it can't possibly his managerial skills. They trade a first round pick (turns out to be Jason Spezza), Zdeno Chara and Bill Muckalt for Alexei Yashin. They sign Yashin to a 10-year, $87.5 million dollar deal, which they are still paying for even though they bought him out a few years back... and now they want to RE-sign a guy who they are already paying for a bought out deal? WHAT? LOL. Oh and also, making a back-up goalie with no managerial experience your GM is a solid move. How is the land down under? I feel for Islander fans. 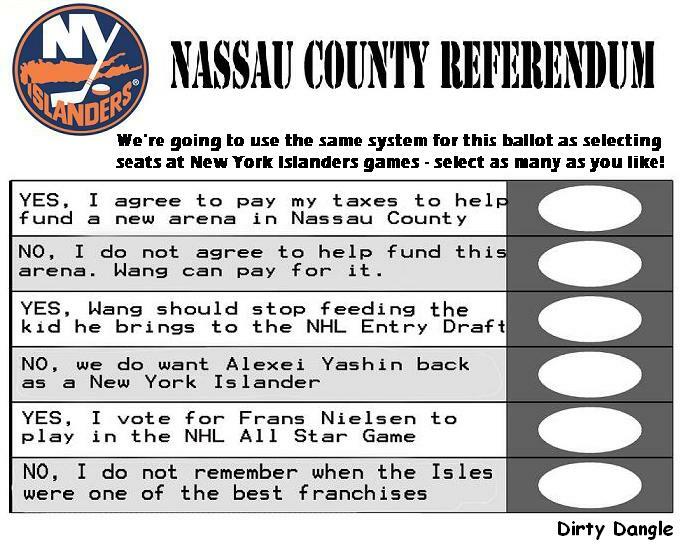 But people in Long Island don't show up for games and they now have voted against a new rink. Time to move the team. They never come out to support their team. I hope they move to Quebec City. Brad, I have to ask how any of what you were whining about is Snow's fault. Snow, considering what he had to work with and that he had no managerial experience before getting the job, has done a fantastic job. I think "fantastic" would be a bit of a stretch. I'm not whining either, I'm clearly explaining SOME of the mistakes made by a once great franchise. I left out also how much money the Islanders organization has been losing in Snow's brief tenure as well. Snow isn't directly at fault, Charles Wang is. He drafted Tavares. It didn't take a genius to do that. He has made some solid moves here and there (why is he trying to sign Yashin when they are already paying the last of his previous contract? ), I totally agree. But they are completely outweighed by the teams lack of success on the ice. I wasn't blaming Snow for being GM, I was saying WHY would someone hire their backup goalie as GM when they had just hired a GM about a week earlier? Especially when Snow had 0 experience. My comments were enforcing the idea that this organization has fallen so far in the last couple decades. Maybe next season Garth Snow will be the starting goalie, and DiPietro will be GM so we won't even be having this conversation... is that totally unbelievable at this point?